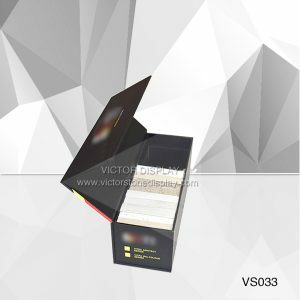 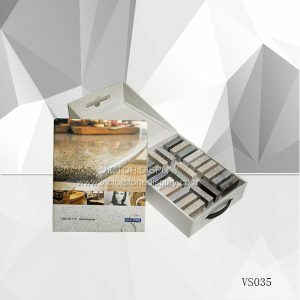 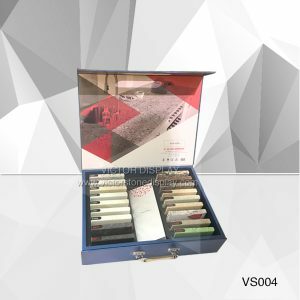 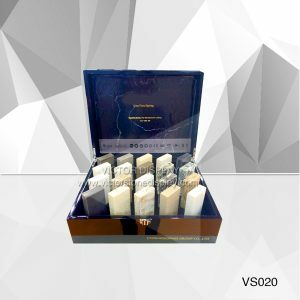 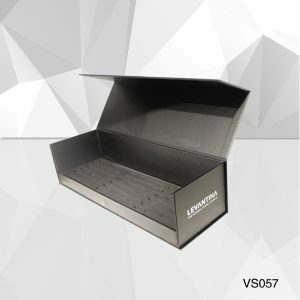 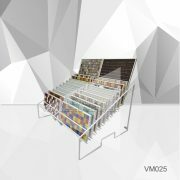 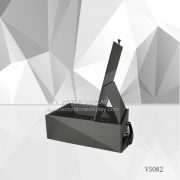 VS082 Quartz Stone Sample Display Case is made of paper covered boards with 4 color offset printing in matte or glossy surface. 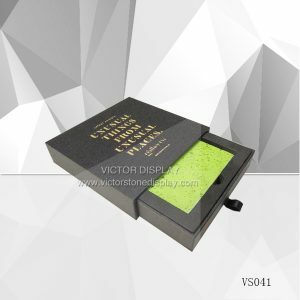 Inside with die-cut foam for present stone and tile samples in the upright position. 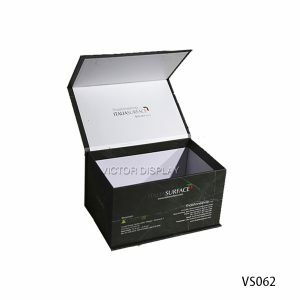 Magnetic closing flap with two invisible rounded magnets. 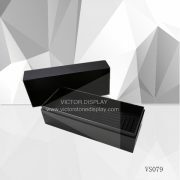 The sample boxes can be customized. 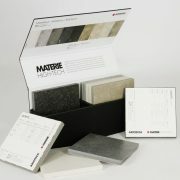 Material can be MDF also. 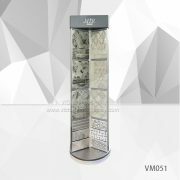 for price please email us and advise detail request.